DRACUT – Mrs. Pauline I. 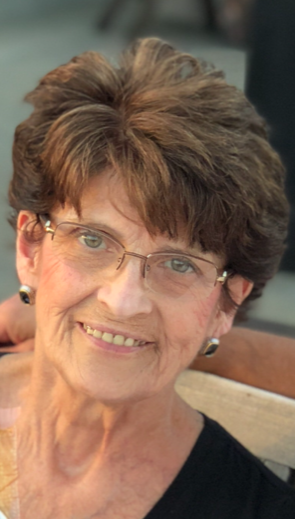 (Lambert) Deschenes, age 69, a longtime resident of Dracut, passed away unexpectedly on March 29, 2019, at the IU Methodist Hospital in Indianapolis, Indiana. Born in Lowell on May 31, 1949, she was a daughter of the late Arthur J. and Doris M. (L’Heureux) Lambert Sr. She was educated in the Lowell school system and was a graduate of Keith Hall High School class of 1967. Pauline was the executive assistant to the President of Lowell General Hospital where she impacted many and made great life-long friends. She enjoyed cooking, traveling with her family and friends, scrap booking and taking trips to the beach, but what was most important to her was spending time with her children and grandchildren. She is survived by her husband Andre F. “Butch” Deschenes; two sons and two daughters in law, Marc and Jennifer Deschenes of Dracut and Brian and Heather Deschenes of Dracut; a daughter and son in law, Michelle and John Kennedy of Brownsburgh, IN; six grandchildren, Ella, Jackson, Reece, Brooke, Emma and Madeline; a sister and brother in law, Diane and Ray Robarge of Dracut; also nieces, nephews and many dear friends. She was also the sister of the late Arthur J. Lambert, Jr., Robert Lambert and Donna Carignan. DESCHENES – Mrs. Pauline I. (Lambert) Deschenes. Relatives and friends will be received at the TYNGSBOROUGH FUNERAL HOME 4 Cassaway Dr., Tyngsborough on Thursday from 4 to 8 p.m. Her Funeral Mass will be celebrated on Friday morning at 10 a.m. in St. Francis Parish, 115 Wheeler Rd., Dracut. Committal services will follow in St. Joseph Cemetery, Chelmsford. Those planning to attend the funeral are asked to meet directly at Church.